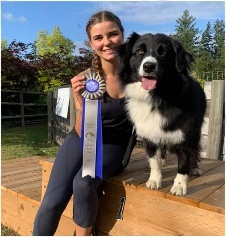 All Agility, All the Time, All in Victoria! Great News! France is now a CTDI Certified Trick instructor with "Do More with your dogs". We are so please to be able to work with DMWYD. Sign up for a Tricks Class. You will love it! Success in Dog Training since 2001. Learn new tricks in a controlled environment that facilitates good training practice on quality, safe agility equipment. We also offer super fun trick classes for young and old offering titles for novice to expert. 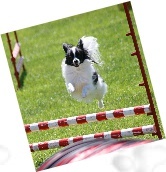 Agility training gives your dog a great and exciting bonding experience with you and all members of the family. This will surely strengthen your relationship with your dogs. There are many benefits! Your dog will lead a happy healthy life. They will get mental stimulation and exercise their minds as they get trained. They will also get a lot of physical exercise and will generally be fit and trim. This will lead to a longer healthier life. Agility training also strengthens the bond between owner (handler) and dog. June 28 2019 AVID TRIAL NOW OPEN! Click Here! Meet the AVID Agility Allstars! Click Here!